The forth annual edition of Openmobility conference was held in Bratislava during the first weekend of April (6-7 April 2013). The conference took place at the Faculty of Electrical Engineering and Information Technology of Bratislava University of Technology. It attracted attention of developers from Central and Eastern Europe. Most of the presentations were in English although there were also some presentations in Czech and Slovak. On Saturday morning the conference started with an introduction to open and mobile platforms by Martin Holec and Jaroslav Reznik. As usual the focus of the conference was on open mobile platforms, services and hardware. 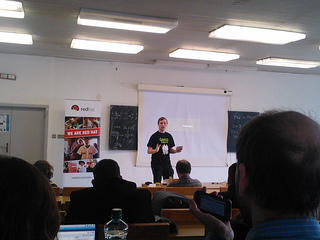 There were presentations about Firefox OS, Tizen, Qt, OpenStreetMap, CubieBoard and other interesting topics. 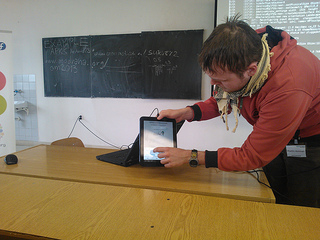 This edition of Openmobility conference also took a closer look to the DIY (Do It Yourself) movement. Miro Hroncok talked about RepRap and Stepan Bechynsky demonstrated 3D printing from model to product on his self made 3D printer. 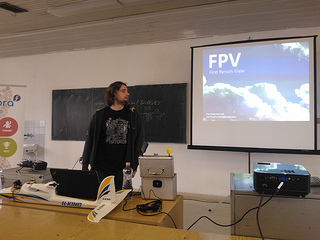 On Sunday Frantisek Horinek presented his hobby - first person view flying. 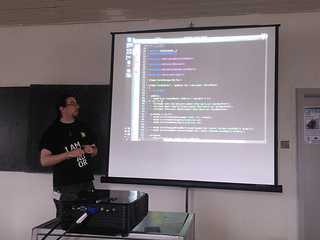 Two workshops and a lighting talk were dedicated to Qt and QML. 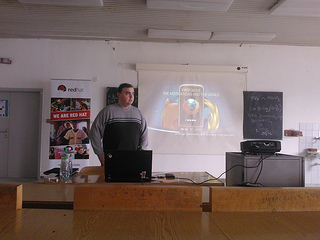 On Saturday Daniel Vratil presented development of applications for Blacberry 10 with QML & BlackBerry Cascades using Qt Creator. On the next day Martin Kolman discussed the development of BlackBerry 10 applications with Python and Qt. During the afternoon Martin was again in the spotlights with a workshop about writhing standalone Qt and Python applications for Android. I also had the pleasure to take part in Openmobility conference 2013 with a couple of talks on Saturday about Tizen 2.0 Magnolia as well as challenges in open source mobile apps. The first day of Openmobility conference ended with a beer event a local pub next to the university. It was an excellent opportunity to relax, meet new people and of course to taste beer of various kinds.